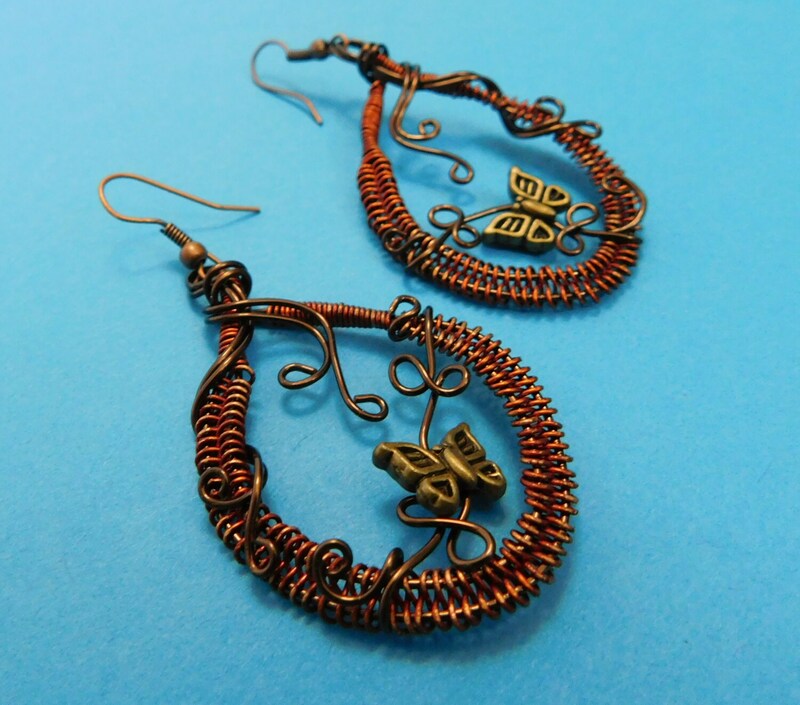 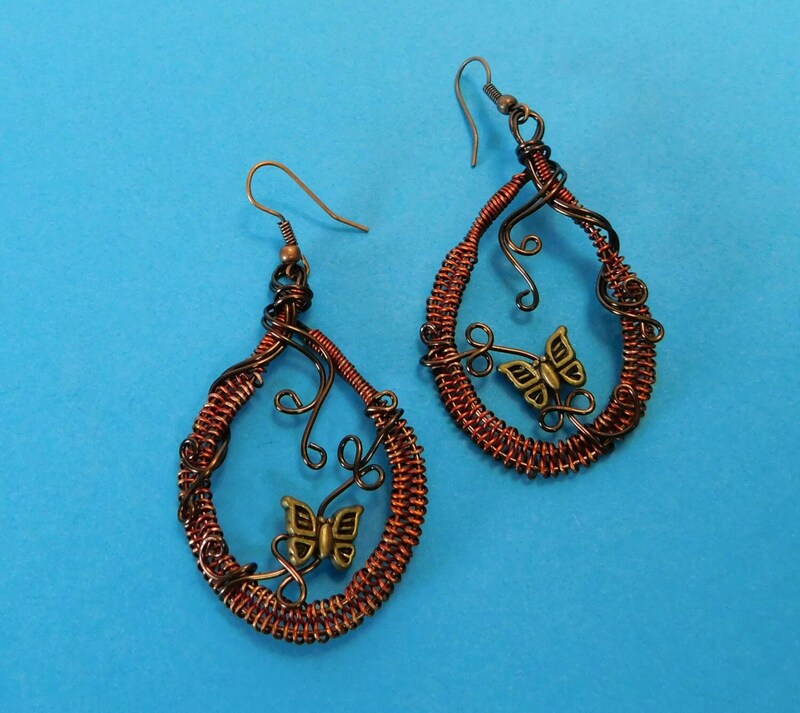 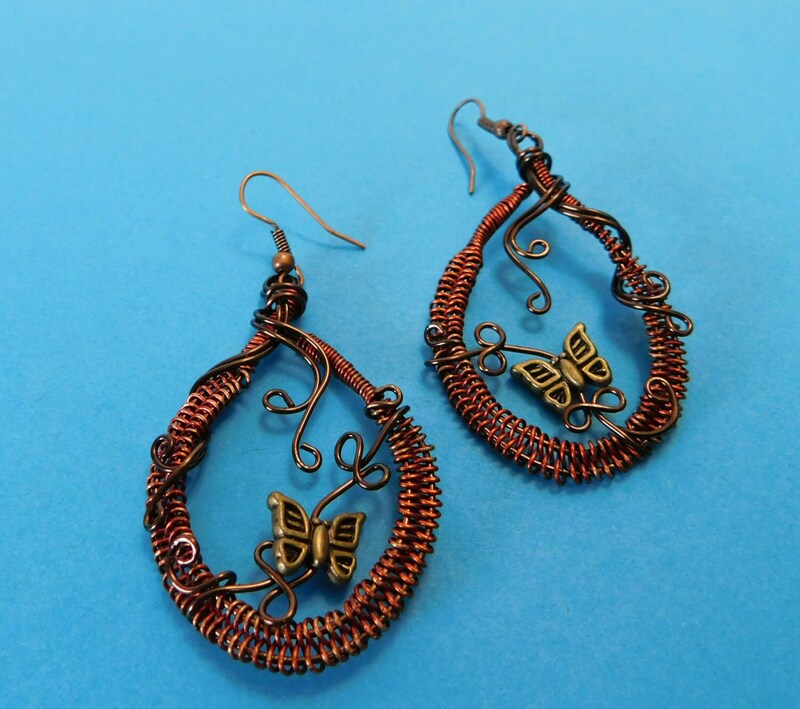 Rust colored copper wire is woven and embellished with dark copper colored wire vines and vintage bronze butterflies. 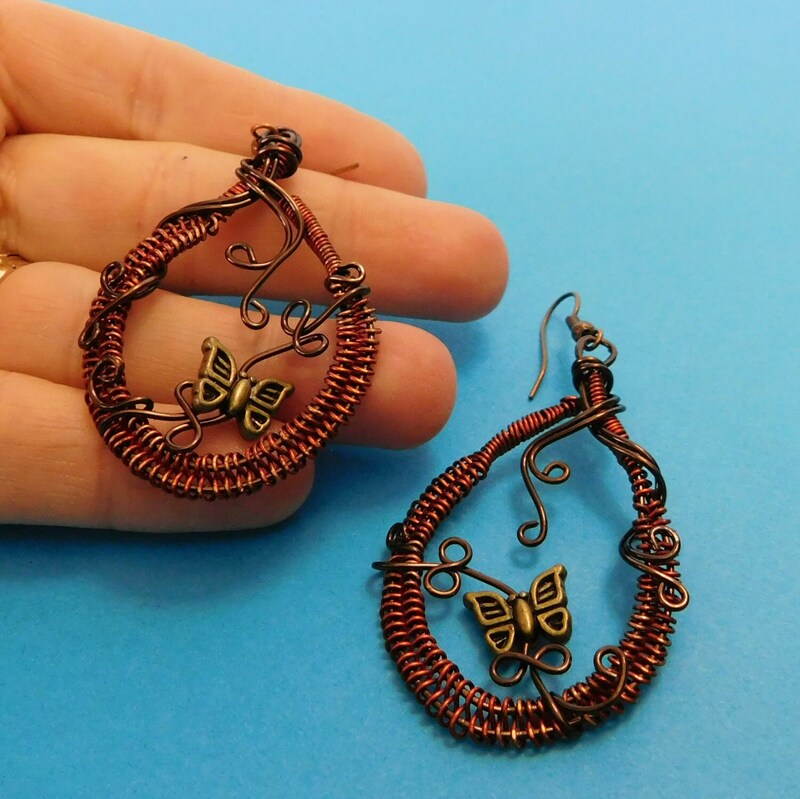 These rustic hoops measure 2 inches in length and 1 1/4 inches wide. 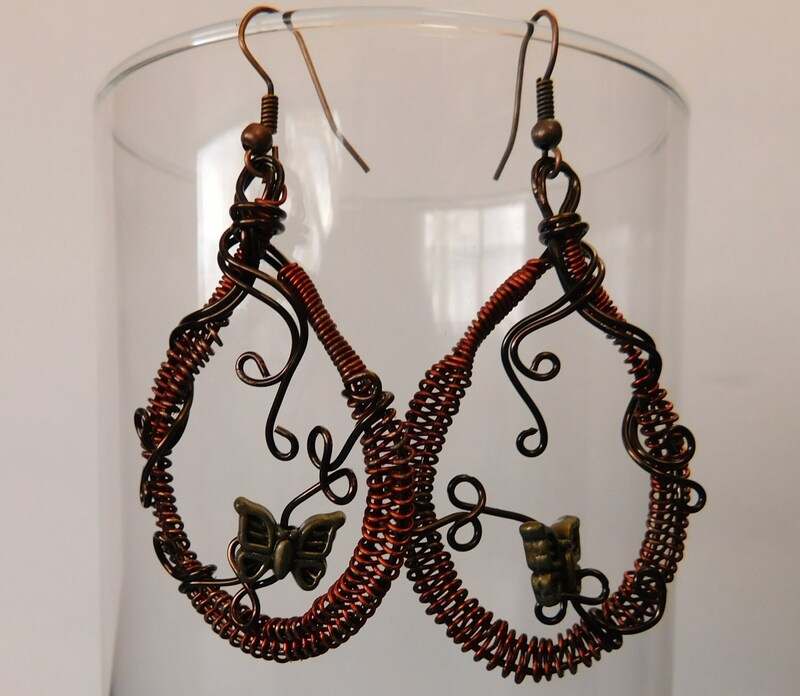 The butterflies move slightly on the vines to bring life and dimension to these fun earrings.